If you stay at one of our 5 preferred accommodation providers, not only do you receive a 10% discount off their lowest online rate but Botanica Weddings will also provide complimentary transport to and from your accommodation on your wedding day at Villa Botanica on the Whitsundays. Pinnacles Resort is the ultimate in luxury self-contained accommodation situated in Airlie Beach, the gateway to the Great Barrier Reef & Whitsunday Islands. Pinnacles will simply indulge your senses from every view point, with 29 stylish self-contained apartments all with internal spa tub or balcony jacuzzi and magnificent Coral Sea views. Boathouse Apartments by Mantra offer contemporary 2-bedroom and 3-bedroom apartments that open to views across the new Port of Airlie marina out to the Coral Sea. These apartments are a short easy stroll from the Airlie Esplanade and shops and restaurants along the boardwalk. Boathouse Apartments by Mantra marks the first stage of a master-planned Port of Airlie resort development. Discover the magical Whitsundays at Mantra Club Croc, conveniently located on Shute Harbour Road within a few minutes walk of the Whitsunday Shopping Centre and five minutes drive to the vibrant main street of Airlie Beach. Welcome to the idyllic Whitsundays Passage, from Peppers Airlie Beach you’re in the perfect position to experience it all. Relax in your spacious, contemporary surrounds and take in spectacular views over the Coral Sea from your balcony. With the option of one up to three bedroom apartments, designed with kitchens, living and dining areas, laundry facilities and air conditioning, everything is at your fingertips. Lounge at the resort pool and indulge in a delectable meal at Tides Restaurant & Bar. Unique to Airlie Beach, this resort is set on 26 acres of landscaped grounds offering a combination of wide open spaces, stunning tropical gardens and accommodation that spans camping and caravanning through to luxury 3 bedroom condos to suit every budget and taste. As the nearest accommodation to Villa Botanica, the property is located in Cannonvale, only a short drive to the township of Airlie Beach and a bus stop is located directly at the front of the property. Toscana Village Resort is family orientated accommodation, featuring 1, 2 & 3 bedroom self contained apartments in a pretty Tuscan inspired garden setting. The resort features 4 pools including a toddlers bubbling wading pool, cascading waterfall, and small plunge pool as well as a BBQ area. Although close to the centre of town the property is situated on a steep hill and so a taxi may be required to return to the property for those not capable of the walk. Located on the esplanade, the Airlie Beach Hotel boasts three onsite restaurants and is perfect for those who want everything on their doorstep. 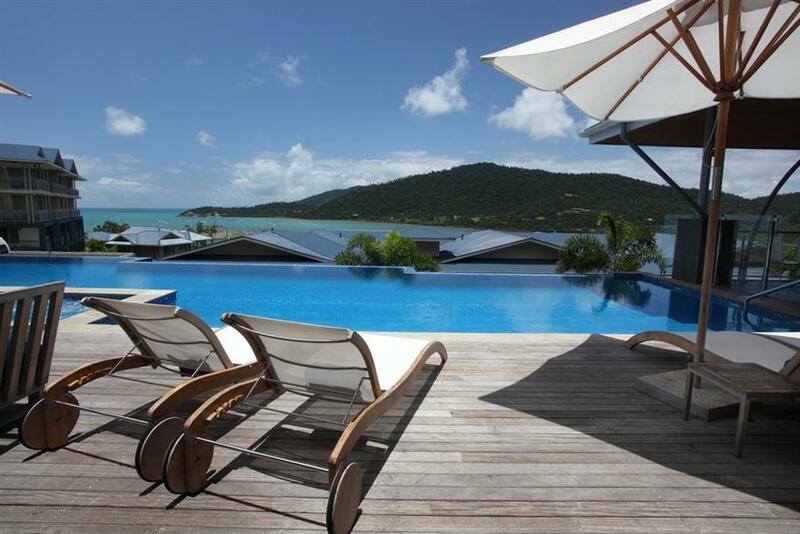 Airlie Beach Hotel offers 60, 4 star AAA rated rooms. Free Wi Fi is available throughout the property and all rooms boast Austar satellite television. This is hotel-style accommodation with smaller room types than offered at the resort properties. For more information about our Whitsunday wedding planning services please click below.